The early days of San Francisco’s disco scene lives on today thanks to Steve Fabus, a Chicago-born DJ who moved to the Bay Area in 1975 and became a fixture in the intertwined club and gay communities. He played regularly at some of the city’s most important discos like the I-Beam and the Trocadero Transfer around the time that local producers were experimenting with a blend of sounds that became known as hi-NRG. As a longtime digger and savant for many forms of soulful house and disco who participated in an important Bay Area record pool, Fabus was a natural fit for our Rewind column, in which talented minds go deep on a track they hold dear. In this edition, Fabus discusses “Let’s Start The Dance” by drummer and disco pioneer Hamilton Bohannon. How did you discover “Let’s Start The Dance”? Was it in a record store or a club? I discovered “Let’s Start the Dance” from the record pool BADDA [Bay Area Disco DJ Association] in San Francisco in 1978. It was the first track on side A of the album Summertime Groove. I was blown away when I first heard it and couldn’t wait to play it at the club that night. When I did, the crowd went crazy and it was—unsurprisingly—the peak record of the night. When the record came out, you had already started your career as a DJ in San Francisco. What makes this record so special for you? And was “Let’s Start The Dance” a definitive record for the sound you played back then? I was playing at loft parties, underground clubs and two of the major clubs in San Francisco: the I-Beam and Trocadero Transfer. I know one of the reasons I was brought into the scene was because I incorporated a lot of the R&B, groove, funk and soulful sounds from Chicago and New York and mixed it with the NRG and electronic sounds already being made in San Francisco and coming in from Europe. “Let’s Start The Dance” was and still is a definitive record for me because it’s a fusion of so many of those sounds—and, most importantly, it’s a jam. Its many elements—jazz, blues, rock, funk, electronic, boogie—take you on a trip and build up to an orgasmic crescendo. It relates to other fusion sounds like the Isley Brothers’ “Live It Up”, Crown Heights Affair’s “Dancin” and many of James Brown’s tracks. Hamilton Bohannon was originally a drummer, and he started releasing records that were very rhythm-focused and distinctive from the early ‘70s on. What was his role in the history books of disco? I first heard Bohannon in Chicago in 1975 at Dugan’s Bistro, a major downtown gay club. The track I heard was “Bohannon’s Beat”, which is on one of the early albums on the Dakar label. It stood out to me because it didn’t follow any of the commercial rules of the day. It presented itself as a unique sound: experimental and minimal; a mantra to hook into. It inspired and encouraged DJs to take disco underground. It was like a loop, a tool used to improvise, phase or bridge. Mantra is a major theme for Bohannon, and he carries it forward with “Let’s Start the Dance”, which is just the opposite of minimal. He turns it up with a full-on jam that puts dancers in an intense trance that they have no choice but to ride to its conclusion. It’s very rich and features a number of instruments, including guitar and keyboard with Carolyn Crawford’s couldn’t-get-any-better voice. What this record represents to every generation is that this is the real deal, musically. My other all time favorite is “The Groove Machine”, which is as intense as “Let’s Start The Dance” but trippier with a phased-out psychedelic break and a total fusion of hard funk, rock and electronic groove. When I hear it, it makes sense that Bohannon early on drummed with Jimi Hendrix. Both “Groove Machine” and “Let’s Start The Dance” feature guitar riffs prominently. 1977 was the peak of the classic disco era. Was “Let’s Start The Dance” an early sign that the genre could live well past the end of that boom or that the sound could move on and still matter? “Let’s Start The Dance” is timeless because, as I mentioned before, it’s a whole movement and jam where you’re hearing real instruments. It always ignites a dance floor, and from the first note you want to pay attention. The lyrics come fast: “Everybody get up and dance/Ain’t ya tired of sitting down?” This could be cheesy, but it’s not, and you surrender completely to it right away. There’s no way you could stop yourself from being seduced by it, and every generation experiences this seduction. It still matters because it’s a prime example of the authenticity of disco from that time period, and that’s what lives on. Bohannon revisited the song in 1981 and renamed it “Let’s Start II Dance Again”. Do you think that version is on par with the original? Why do you think he did that? I think Bohannon wanted to reintroduce the record to a newer crowd and make it easier to mix with a longer intro and buildup and a more even sound. Many DJs were happy about that, but I feel some of the intensity of the jam was wiped away. You moved from San Francisco to New York City in 1983. Were there notable differences between the nightlife in those cities? Certainly there were differences between NYC and San Francisco, just like there would be differences between NYC—which was arguably the club capital of the world at the time—and anywhere else. Also, because I’m from Chicago and first came into the scene when DJs like Ron Hardy were active, I could appreciate and respect scenes outside of New York. San Francisco was obviously for many people the promised land, the counter-cultural mecca that welcomed all who wanted to party and change the world—especially those in the ‘70s gay community. All this served to create a uniquely alternative nightlife to New York’s. San Francisco was to New York as Amsterdam was to big European cities: the small, bohemian counterpart. 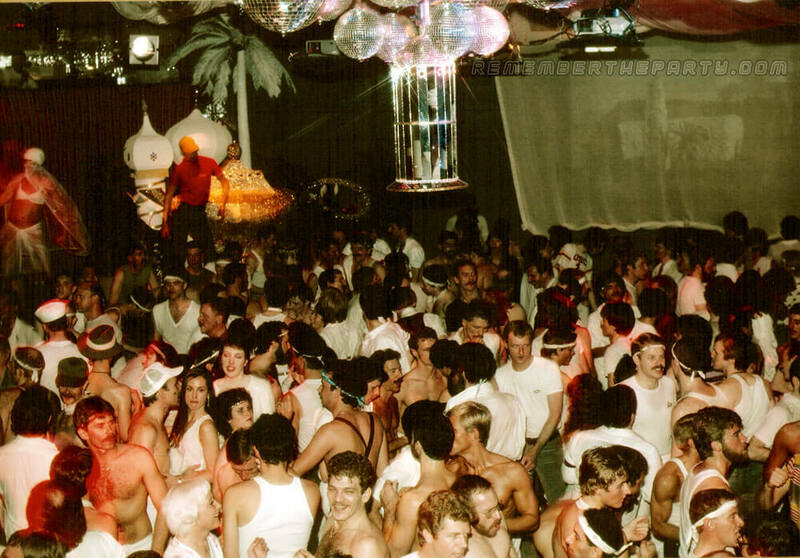 The disco scene traveled west and took a little longer to hit San Francisco—but when it did, it hit big. Both San Francisco and New York are coastal cities with bridges, tunnels and a similar infrastructure for nightclubs in warehouse districts. The South of Market district, SOMA, was where most of the clubs found a home, as did the Trocadero Transfer. Indeed, the Trocadero was fashioned after New York’s 12 West in look and feel and had the same Graebar sound system. This ushered in the era of the Manhattan-style party-till-dawn experience in San Francisco. Other clubs followed, and San Francisco became the West Coast’s major showcase for DJs and underground disco culture. Also, both cities were were at the forefront of the gay movement politically and that created a special cultural bond between the two. San Francisco developed its own notable DJs, producers and stars, including Sylvester and Patrick Cowley. Even though many people would say San Francisco was New York’s little sister, that shouldn’t take away from the fact that it was just as significant in its own unique way. How did you experience the ‘80s from the booth? Would you say that there were more developments in club music than in the decade before that led up to house? In 1980 I started playing the morning party at the EndUp in San Francisco. This was the start of a legendary party that truly established San Francisco as a 24-hour town. Because I played a diversity of styles, from groove to NRG to sleaze and morning music, I was brought in to play from 6 a.m. to 2 p.m. every Sunday. My signature sound was definitely Paradise Garage groove mixed with San Francisco NRG. It was always about mixing sounds together for myself and a number of other DJs like Tim Rivers and Vincent Carleo. They wanted to serve up the East Coast with the West Coast. In 1983, when I moved to New York to play at Tracks and the River Club (which before that was 12 West), disco and dance music culture had already survived a lame attempt to destroy it by those who felt threatened by it. What’s amazing about the ’80s is how seamless the transition from the disco to house era was. The doors naturally opened for Jocelyn Brown, Taana Gardner, Carolyn Harding, Colonel Abrams, Blaze, Marshall Jefferson and A Guy Called Gerald. On the other side, you had new wave, new romantic, Italo, Hi-NRG and the type of rich morning music you heard at the Saint in New York. I would go through all of it at Tracks every Sunday night. I would say there were more developments and different directions established in the ’80s than in any other decade of dance music. It was arguably the most musically diverse decade. Your DJ career has a remarkable longevity, as you haven’t stopped playing since the ‘70s. Did you imagine that you would be able to keep doing this for such a long time? Back then, I didn’t really imagine I would be doing this for all this time. I was only enjoying the moment and realizing how lucky I was to be in the right place at the right time and being able to go up and play. I didn’t really think about it too much. I was just driven to do it and hoped I could continue doing it for as long as possible. And it’s the same for me now. I’m still in the moment where I’m driven by it and realizing how fortunate I am to have this happening for me. It’s been a great run, and yes—there’s no end in sight! Read past Rewind columns with Italo pioneer Fleming Dalum and more. Cover photo of the Trocadero Transfer from Remember The Party.